Gilson Graphics is excited to announce that we’ve added a new large format printer to our ranks. 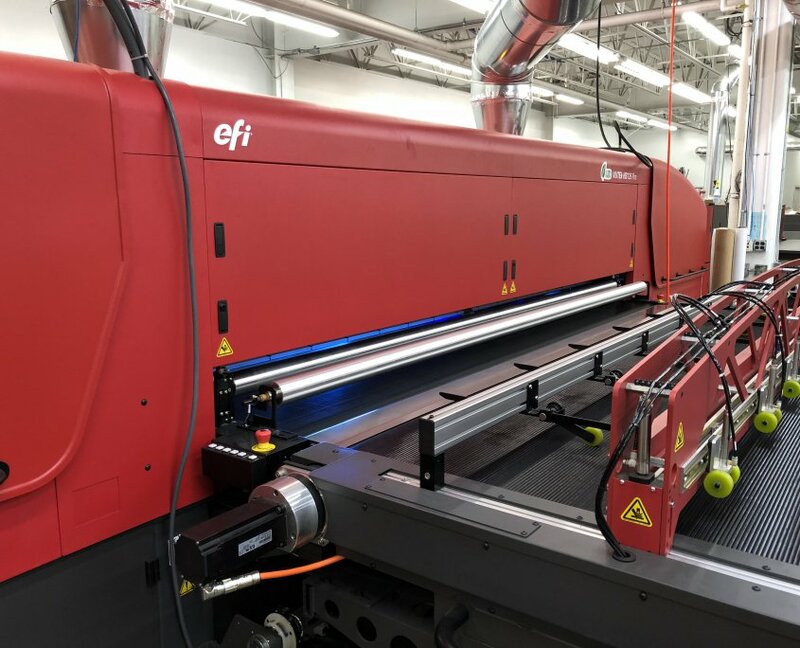 EFI’s VUTEk HS125 Pro has just been installed in our facilities and we’re eager to put it to work for our clients and customers. Adding this machine to our facilities means more output, more large format opportunities, and more ambitious projects for you and your business. Discover just what the VUTEk HS125 Pro is capable of and how it can help take your business and marketing to new heights with some info in this blog post. We’ll cover what large format printing is, what the VUTEk HS125 Pro can do, and how it will upgrade your experience when you choose Gilson. If you’d like to learn more, you can read all about it on EFI’s website. We pride ourselves on creating outstanding large format print projects, and with the new HS125 Pro, we plan on bringing even more to our customers and clients. What this all means for you is that Gilson now has double the capacity for creating fantastic large format projects. We can create, produce, and deliver banners, point-of-purchase displays, and trade show booths, or print on already existing marketing materials and substrates. Contact us about large format printing opportunities today or schedule a meeting with one of our sales reps for more info.